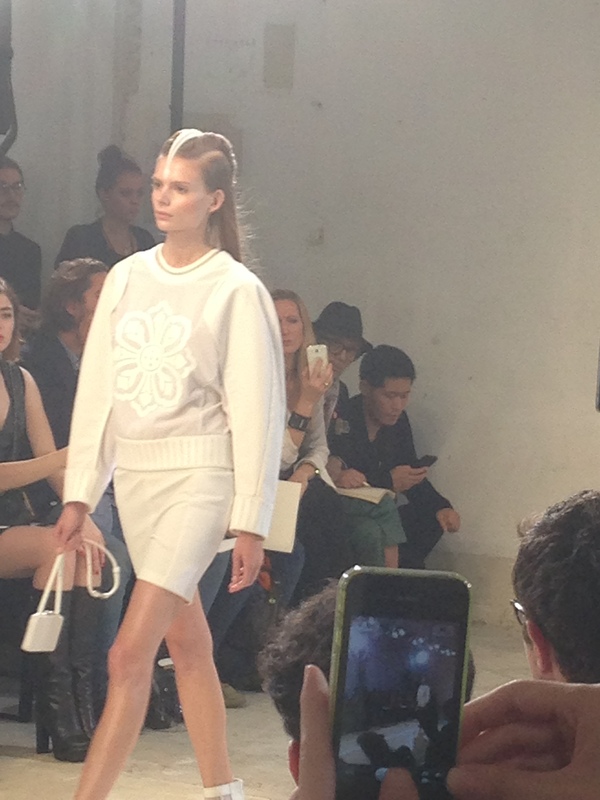 The Hexa by Kuho Spring/Summer collection was debuted in a small, very white space with an unconventional catwalk. What sounded like a technical malfunction led many people to look around at each other, curious as to what had just happened. However, the ‘boom’ they heard was actually the start of the show, surprising all. 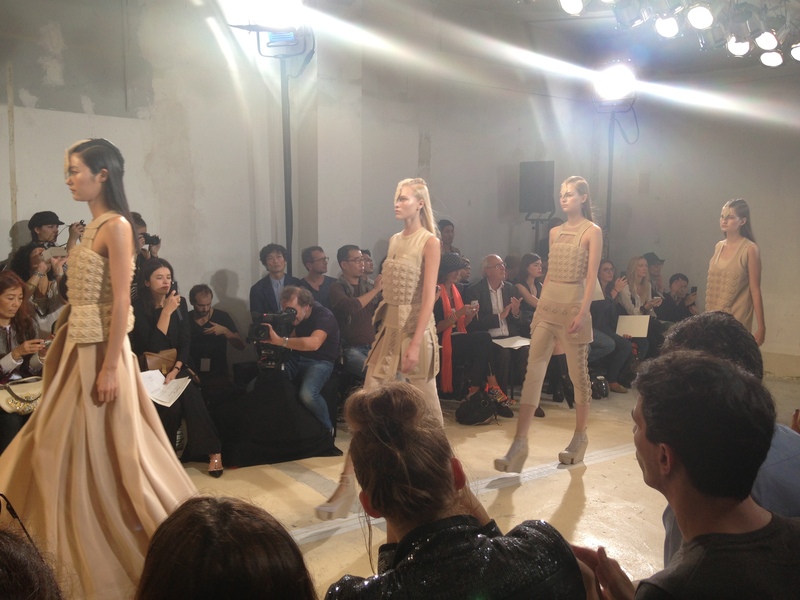 The collection, entitled Feminine Warrior, was shared in a unique way. The hair of every model was parted on the top into two twists, fastened with a white ornament resting on the forehead, thus portraying the fierce, warrior look. The hard drums echoed all around, simulating the start of an attack. They weaved around wooden beams before heading straight towards the photographers. 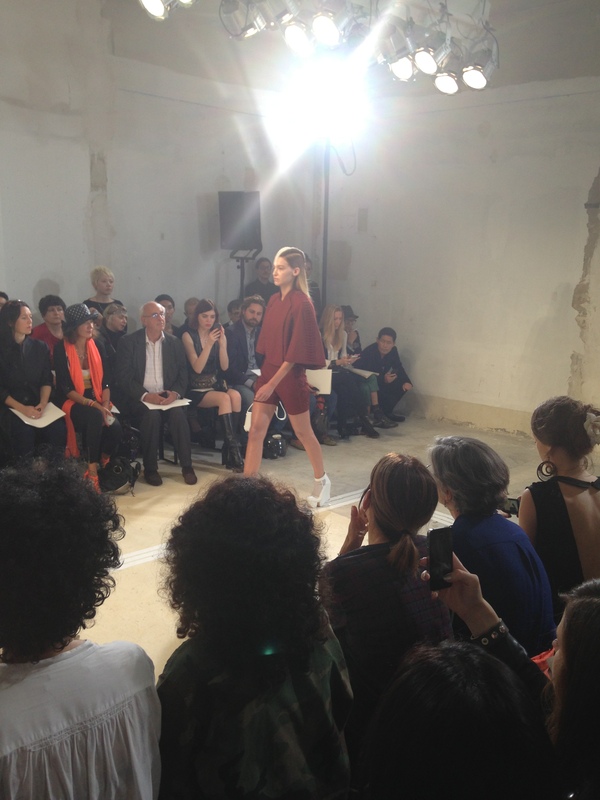 Loose fitting pieces in mostly whites and beiges dominated the first half of the show. The second half included dresses shirt-short combos in blues, lavenders, and browns. Chunky wedges with separated platforms mimicked the feet of a horse, the assistant in many ancient warrior battles. Thick fabric and ribbed lines created the image of a ‘safety vest’ look. And yet, a 3D, floral medallion remained a constant, and controlled the femininity of the entire collection. “mimicked the feet of a horse”? How exactly?